Born in Grand Rapids, MI to John and Susa May (DeGroot) Roersma. Graduated from Creston High School. Dian is survived by her three daughters, Sheryl (Ted) Spangenberg, Lisa Cole and Denise (Mike) Mohr. 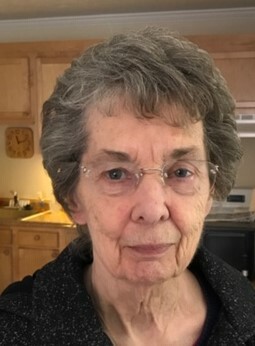 She is also survived by grandchildren Amber Spangenberg, Austin Lehman, Andrew Lehman, Amy Mohr and Ian Mohr, two great-grandchildren, brothers John Roersma, Karl Roersma and sister Jane (Clair) Pratt. Dian was preceded in death by her husband, Frank, her parents and her father and mother-in-law, Charles and Caroline Covert. Dian enjoyed the community and her friendships at Sentinel Pointe. We would like to thank all of her caregivers for their kindness and dedication to Dian’s comfort. Respecting Dian’s wishes, there will be no visitation, funeral or memorial service.